BIOFLO® II diaphragm valve bodies are manufactured from the same forged 316L material as the standard BIOFLO® forged diaphragm valve bodies. 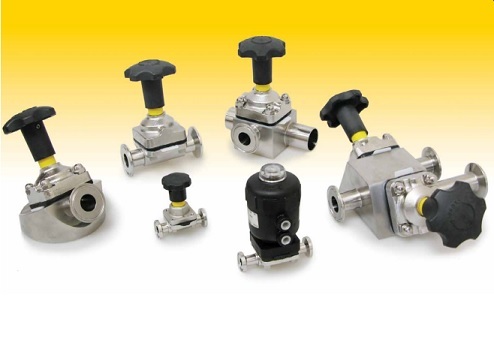 All BIOFLO® II diaphragm valve sizes are machined from a common raw forging with controlled chemistry per BPE. Bodies are available with clamp or buttweld ends and surface finishes through 10RA. BIOFLO® II diaphragm valves manual 304 stainless steel bonnets are provided with adjustable PPS handwheel, sanitary internals, and FKM o-ring seal. Bonnets are autoclavable and can withstand elevated temperatures to 300° F.